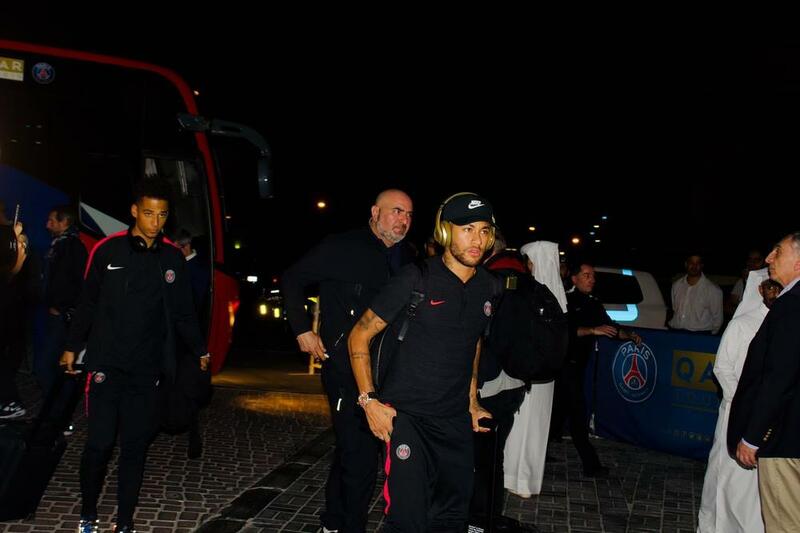 Ligue 1 leaders PSG have arrived in Doha ahead of their winter camp. The Parisians left for Qatar on Sunday morning following their 3-0 league victory over Amiens. A full squad has travelled to Doha for the annual tour, including superstars Neyman, Kylian Mbpabbe and Edinson Cavani. Although midfielder Adrian Rabiot will miss the tour due to family reasons. The side who are managed by German boss Thomas Tuchel arrived at their base this evening and are expected to train tomorrow and undertake several media appearances in the Qatari capital. This will culminate in an open training session at the Khalifa International Stadium, the first stadium that has been prepared ahead of the 2022 World Cup.